Romance Reviews Today Blog: Want to get lucky? Count me in to please! I've never read anything by Susan Donovan, yes, please consider me in the giveaway. Thank you. Another new author for me, count me in! Count me in for sure.. Susan D is a fav of mine.. Yes i would love to enter!!! Oh, yes! Please enter me! I adore her books! This book sounds like a pleasant read so please sign me up. I want in!! Love Susan's books. Pick me! Pick me! I want to win!! Sounds really good, please count me in! Yes, please count me in too! Yes, count me in please. 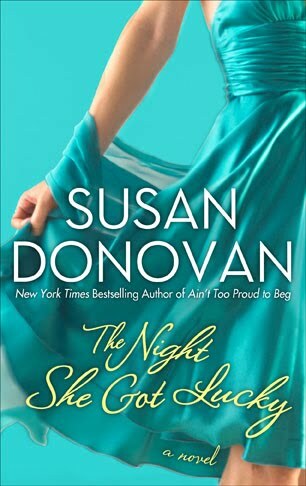 I found Susan Donovan last month when I tried her first book in this series: Ain't Too Proud To Beg. It was funny and romantic.